This article will show you how to achieve the goal - add movie files from iphone 4 onto the new ipad - for sync and backup purposes. Is there any way to add movie from iPhone 4 to the new iPad which I'm going to buy and I don't have to start all over? As in the near future, it's not likely for me to invest a new computer, so I have to do this (add movie from iPhone 4 to the new iPad) on my friends' cmoputer. You may wonder if iCloud is worth a try? Yes, but only when you get favorable network connection. Accordingly, it is recommanded to use a decent third party movie Transfer application. Take AnyTrans as an example. It can help you to add movie from iPhone 4 to the new iPad with a few clicks, and you even don't have to bring up slow and clunky iTunes. 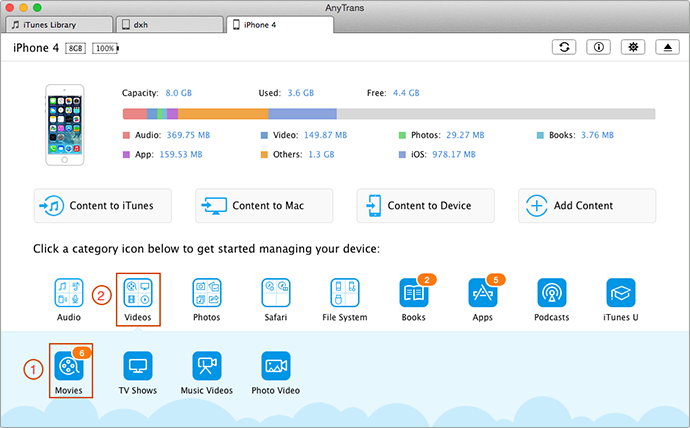 AnyTrans is everything you need to add movie from iPhone 4 to the new iPad. Lately updated to support: iPhone 5, iPod touch 5, new iPod nano 7, the new iPad, iPhone 4S/4, iPod nano 6, etc. 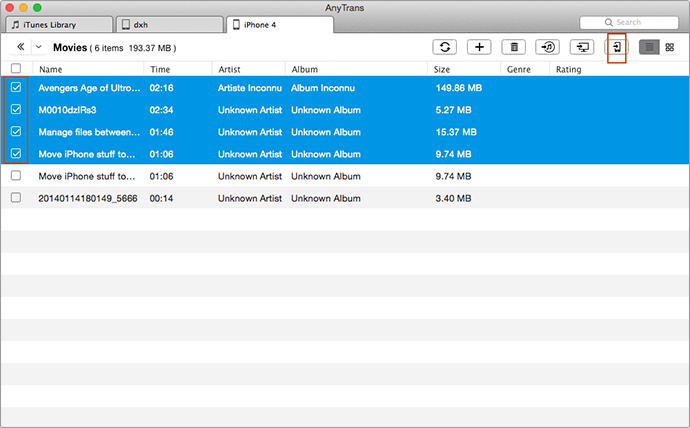 Try to work around slow & troublesome iTunes sync, AnyTrans gives you a hand to manage iPhone/iPad/iPod without any limits; restore iTunes library from iPods; transfer music across iDevices etc. Keep target movie files highlidghted and click To Device (Or you can right click the mouse and select To Device). 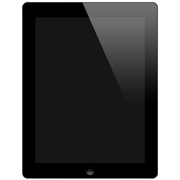 Then AnyTrans will help you instantly move movie from iPhone 4 to the new iPad. iPad 3 - The new iPad sports the new dual core A5X processor with quad-core graphics, and a Retina Display with a resolution of 2,048 by 1,536 pixels. iPhone 4 - The iPhone 4 is a touchscreen 3G smartphone developed by Apple Inc. It is the fourth generation iPhone, and successor to the iPhone 3GS.